Designed specifically for railroad applications by railroad professionals, the HIPPO Power Tread and HIPPO THK are self-propelled, all-wheel-drive units that deliver outstanding power and mobility to your worksite. They are each powered by a liquid-cooled diesel engine to provide years of dependable performance. The HIPPO Power Tread and HIPPO THK were designed on the same military-grade platform that passed the Aberdeen Proving Ground tests, demonstrating their capabilities to withstand and perform in the harshest environments. 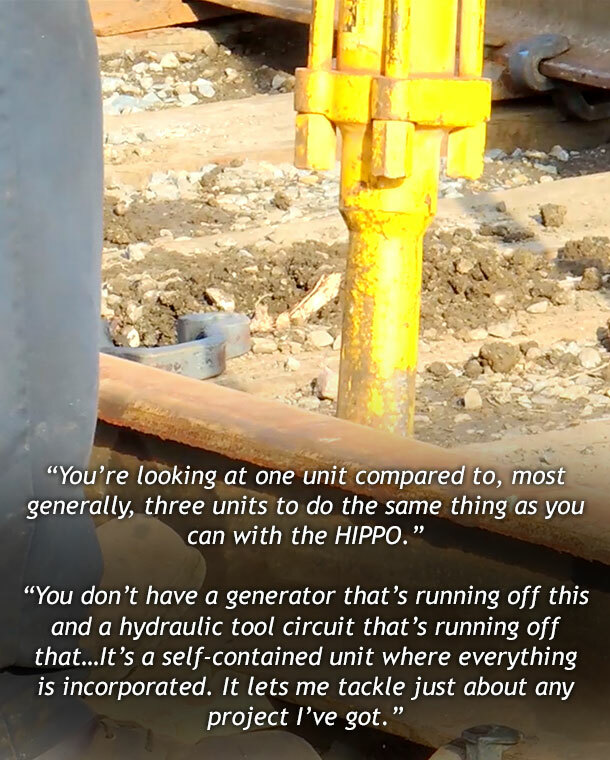 The only diesel-powered, twin 10 gpm hydraulic power unit designed specifically for railroad maintenance, the HIPPO Power Tread is a self-propelled, all-wheel-drive unit that offers the ultimate in power and mobility for your worksite. Don’t need all the power of the HIPPO Power Tread? The HIPPO THK combines the self-propelled mobility of the HIPPO Power Tread with the singular focus of hydraulic power for a smaller equipment footprint on your worksite—and a smaller budget. 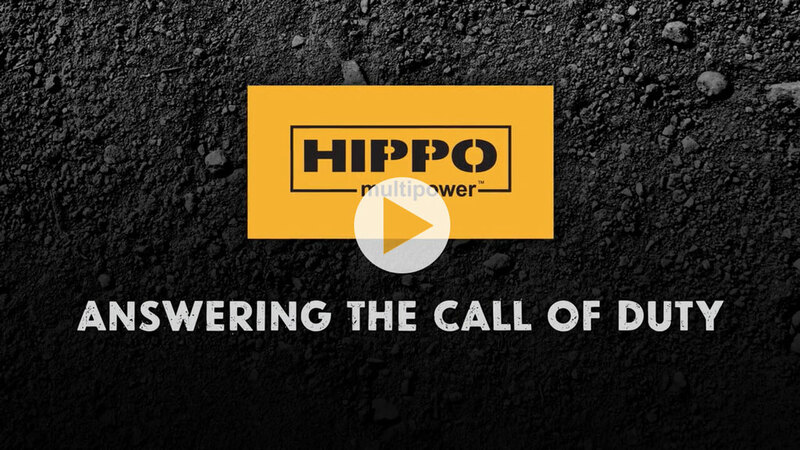 Ready to see the HIPPO Power Tread and THK in action? Contact us today to set up a demo.